Rocket Raccoon is a fictional character appearing in comic books published by Marvel Comics. The character was created by Bill Mantlo and Keith Giffen and first appeared in Marvel Preview #7(1976). He is an intelligent, anthropomorphic raccoon, who is an expert marksman and master tactician. His name and aspects of his character are a nod to the Beatles' 1968 song "Rocky Raccoon". Rocket Raccoon first appeared in Marvel Preview #7 (Summer 1976), in the back-up feature "The Sword in the Star", under the name "Rocky". He would next appear in The Incredible Hulk #271 (May 1982), where it is learned that "Rocky" is short for "Rocket". In 1985, he received his own four-issue limited series and in an afterword to the first issue, Mantlo himself asserted that this was the same character seen in Preview, penciled by Mike Mignola and inked by Al Gordon with Al Milgrom. Rocket appeared in Quasar #15 in 1990 and later appeared in three issues of Sensational She-Hulk in 1992 (#44-46). 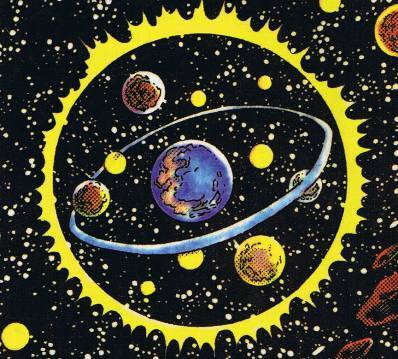 The character only appeared in a total of ten comic books in his first thirty years of existence. 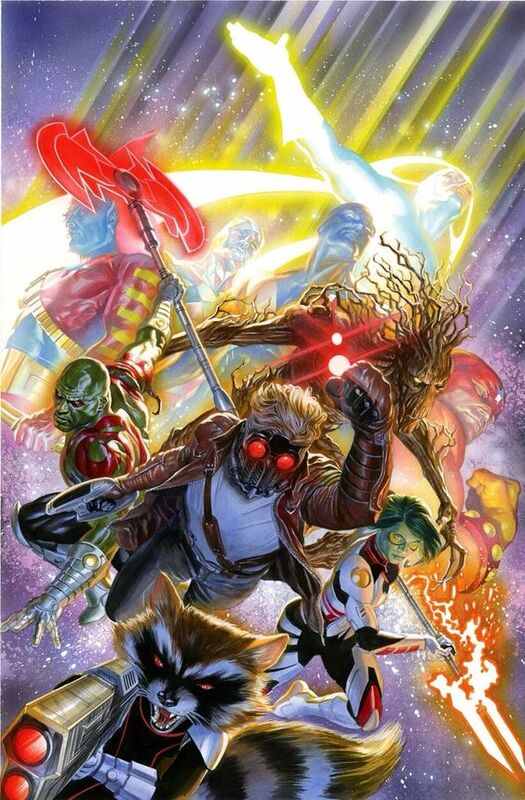 Besides a brief appearance in a 2006 issue of Exiles, Rocket Raccoon was next seen in 2007's Annihilation: Conquest and Annihilation: Conquest - Star-Lord limited series, and their spin-off series, a new volume of Guardians of the Galaxy. He remained a regular member of the series cast until it was canceled with issue #25 in 2010, also appearing in the follow-up limited series The Thanos Imperative. Along with fellow Guardian Groot, Rocket starred in backup features in Annihilators #1-4 (Mar-Jun 2011) and Annihilators: Earthfall #1-4 (Sept-Dec 2011). Rocket Raccoon, along with the other members of the Guardians, appeared in issues #4-8 of Avengers Assemble, a series intended as a jumping-on point for fans of the film The Avengers. He appears prominently in Guardians of the Galaxy vol. 3, a part of the 2012 Marvel NOW! relaunch. In February 2014, it was announced that Skottie Young will be the writer and artist for a Rocket Raccoon ongoing series. The series began in July 2014, with the first issue selling over 300,000 copies. Jake Parker replaced Young as the artist beginning with issue #5. The series ended in May 2015 as one of many titles to be cancelled for Marvel's Secret Wars event. A new volume, titled Rocket Raccoon and Groot, began in January 2016 as part of the All-New, All-Different Marvel relaunch. Hundreds of years ago, humanoids from an unidentified planet sought a world to use as an asylum for their outcast insane members, and settled on a planet located in the Keystone Quadrant, out by the stars of Sirus Major. There the psychiatrists created robots to care for their patients' particular brands of insanity. For years they studied the functions and dysfunctions of the mind, writing their observations in the starship Gideon's logbook until their funding was cut off and they were ordered back to their homeworld. As they left, they erected a forcefield-generating Galacian Wall around the star system to keep their uncured patients safe from the normal society that loathed them. For generations the robots faithfully watched over their charges, whose children were born insane themselves, or affected by their insane environment. The Loonies, as they came to be known, created a religion worshiping the ancient Shrinks as gods, with straight-jacketed priests called the Good Humor Men venerating the logbook as their Bible, housing it in the Admissions Ward and performing rites to attain the Final Cure. Gaining sentence (due in part to radiation from a nearby star going nova), the supremely logical robots sought a way out from directly caring for their illogical charges. They played around with the genetics of the various companion animals left by the Shrinks and created a race of animal people to care for the Loonies while the robots retreated to their own side of the planet and began to work on a giant humanoid starship, and started to deduce how to shut down the Wall from the inside. Over time the planet came to be known as Halfworld, divided between the robots' industrial half, and the verdant half occupied by the others, with the robots building toys designed by the animals to keep the Loonies entertained, and making other machines and weapons for the animals' use only, and giving many animals requested cybernetic enhancements. Over time the animals created their own advanced society somewhat apart from the Loonies, with the major industry toymaking for the Loonies' amusements, and the Loonies paying for services rendered with animal cracker currencies. In recent years, the Incredible Hulk (Bruce Banner) was transported to Halfworld via energies released during the destruction of the energy creature Galaxy Master. The Hulk met Quadrant guardian Rocket Raccoon and his partner Wal Rus, who tried unsuccessfully to figure out how the strange green human got through the Galacian Wall. When the head of Inter-Stel Mechanics, Judson Jakes, had the mercenary Black Bunny Brigade steal the Gideon's Bible and held his ward, the otter Lylla, as a hostage, Rocket enlisted the Hulk's aid to rescue both the Bible and his girlfriend. They invaded Jake's orbital Spacewheel spacestation and rescued both the book and Lylla, but not before Jake's chief scientist/toymaker, the tortoise Uncle Pyko, sent the Hulk back to Earth to prevent the Hulk's presence from destroying the political status quo among the various Halfworld animal factions. The saurian Lord Dyvyne, head of Dyvynities,Inc., forcibly took over Inter-Stel Mechanics, forcing Jackes and Pyko from Spacewheel, and hiring the Black Bunny Brigade away from Jakes. Relocating to Halfworlds's equator, Jakes reincorporated as Mayhem Mekaniks, where he had Pyko created more members of his mechanical Psycho-Circus (a.k.a. Killer Clowns) and the cybermetric bat-like Drakillars, and plotted to find a way to marry Lylla to gain permanent control of her late parents' fortune and the toy company they had founded. Desiring to be the top toymaker, Jakes had one of his mechanical Killer Clowns assassinated Lord Dyvyne's chief toysmith, igniting a trade war. Rocket went after Jakes to stop the war, but then Dyvyne had Lylla kidnapped to force a marriage between them to gain control of her fortune, forcing Rocket and her uncle Wal to rescue her instead. They tracked Lylla to the Loony shrine Asylum, where Brigade leader Blackjack O'Hare had taken her to seek her fortune for himself, putting him on the outs with his employer. When the Killer Clowns vacuumed up the Black Bunny Brigade, O'Hare was forced to rescue Rocket and himself from the wrath of lord Dyvyne's misty creature Red Breath. luring the pursuing Clowns on their vacuum sleds to vacuum up the erasing Red Breath, destroying both sets of assassins. Now finding both toy moguls allied against them, Rocket, Wal Rus, Lylla, and O'Hare fled to the robotic side of Half World, where they found Uncle Pyko; he had "borrowed" and deciphered Halfworld's Bible, learning the truth of Halfworld's origins, and left Jakes to pursue his own agendas of becoming the Quadrant's chief toysmith for the pure joy of creating toys. Escaping from the treacherous O'Hare and his cronies, Pyko led the other three to the Assembly Line to meet the head robot, where Rocket handed over the Bible to the robots to uses psychiatric knowledge to create the Wonder Toy, a helmet designed to correct the imbalances in the Loonies' minds, curing them. Jakes and Lord Dyvyne combined forces for one last attack on Rocket and Pyko to keep them from distributing the Toys and destroying their markets forever. The Killer Clowns and Lord Dyvyne's simian samurais almost succeeded in slaying them until reinforcements - the robots, a repentant O'Hare, and the now-cured Loonies - arrived to turn the tide of battle against Jakes and Dyvyne, who were deliberately thrown from their Drakillar perch onto the ground below, apparently killing them. 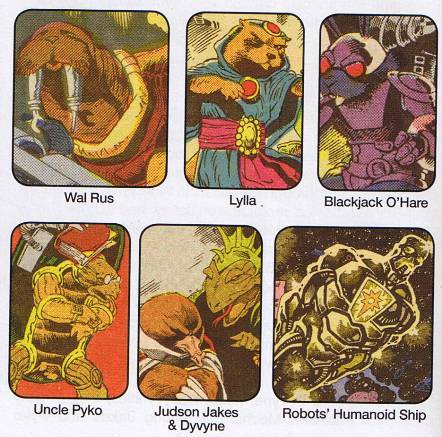 While some animals elected to stay and help the former Loonies rebuild their world, Wal, Lylla, O'Hare and many other animals joined almost all the robots aboard the humanoid Ship with Rocket as its captain, seeking adventures among the stars. 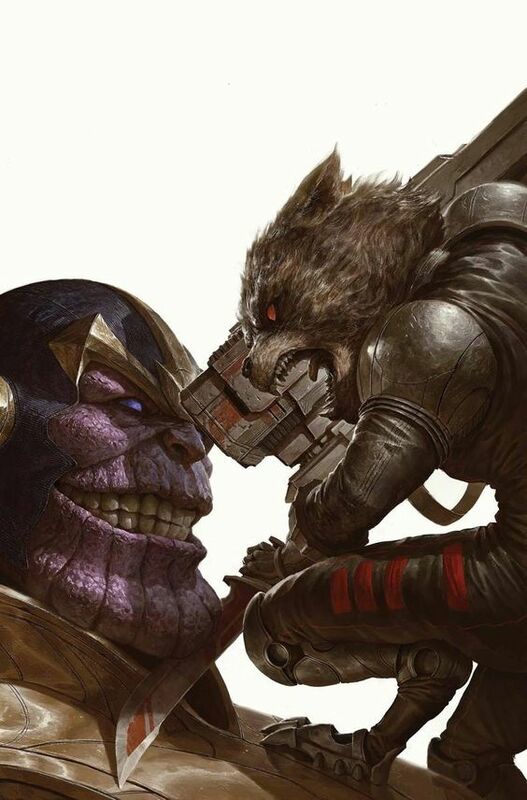 Note: 10,000-15,000 years in the future, Rocket Raccoon, now called Rocky Raccoon, met Ithican Prince Wayfinder on the planet Hailailae, also known as Witchworld, where he aided the offworld Prince by instructing him about the dangers of Witchworld, and helped him battle the animal men of the sorceress Kirke. How Rocket survived the intervening millennia, or if he was somehow transported there through space/time to the planet remains unrevealed. Rocket Raccoon possesses the normal attributes of an Earth raccoon, including speed (which has been additionally amplified by his training), and an acute sense of smell, sight, hearing and touch. Sharp claws allow him to scale walls, buildings, and trees with ease. He is an accomplished starship pilot, an expert marksman with the two laser pistols he carries as well as having an affinity for heavy weapons. He is a master military tactician and leader, attributes that help him take charge of the Guardians of the Galaxy when Star-Lord is unavailable. Rocket has a number of allies including Star-Lord, Gamora, Drax The Destroyer, Groot, Mantis, Nova, Adam Warlock and many more. Over the years Rocket has made a number of enemies including Thanos, Nebula, BlackJack O'Hare, Magus, Star-Thief, Ronan and many more. The movie was directed by James Gunn. The movie featured Chris Pratt as Peter Quill(Star-Lord), Zoe Saldana as Gamora, Dave Bautista as Drax The Destroyer, Rocket Raccoon voiced by Bradley Cooper, Groot voiced by Vin Diesel, Karen Gillan as Nebula, Micheal Rooker as Yondu and Josh Brolin as Thanos. The movie performed very well both critically and financially and was the summer blockbuster of 2014.